650,000 square feet. Five energetic floors. 1,600 talented associates. The new American Greetings Creative Studio World Headquarters in Westlake Ohio inspires creative collaboration at every turn. Over its 110+ year history, American Greeting's (AG) has mastered creative expression. Color. Form. Word. This is a company with a singular vision and a highly-refined understanding of how aesthetics affect the human spirit. The Creative Studio is the culmination of dynamic collaboration. AG Associates and its partners came together to bring this stimulating environment to life. We were thrilled to contribute our expertise to this one-of-a-kind project. Expansive and complex, the creative studio space presented a daunting wayfinding challenge. The bar was raised higher by the expectation for a minimalist approach to the facility's navigation system – signage was to be limited to room identification and code signage only. There would be no directories or directional signs to visually compete with the gallery-quality graphic and art installations positioned throughout the space acting as both visual focal points and wayfinding landmarks. From its inception, the Creative Studio was envisioned as a human-scale experience, meant to inspire, and sometimes, even surprise. Creativity and ideas would be on display everywhere. From tributes to the company's proud history, to concepts in progress, to intriguing vignettes… expression takes center stage. A sign-heavy approach to wayfinding would be distracting among all this inspiration. With expectations clearly set, AG's internal wayfinding team set out to develop an accessible, straightforward and fun system. Floor plans were studied. Paths imagined. People flow envisioned. The result? 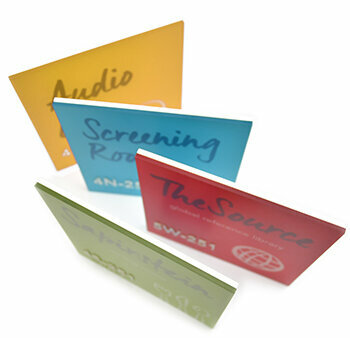 A concept for an engaging system of color coding, room numbering and clear signage that held the potential to meet every goal. Without directories and directional signage, the Room ID numbering system played a stronger navigation role throughout the space. A comprehensive room numbering system was developed that communicated location within the building. 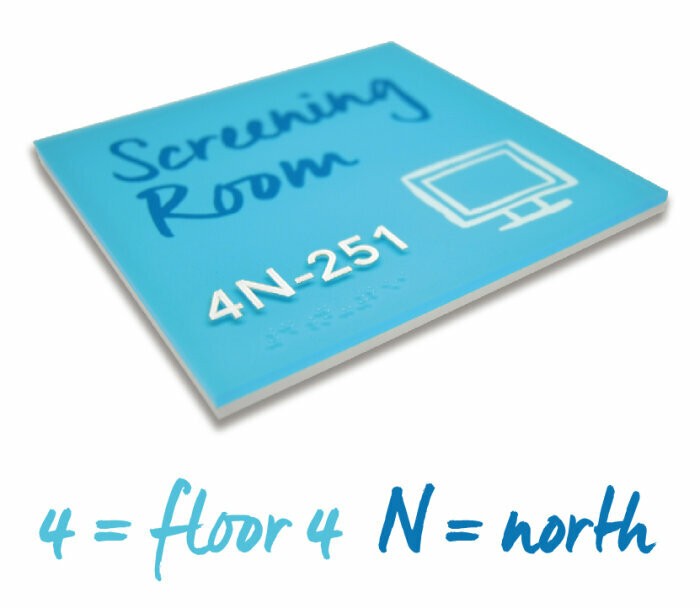 The first digit provides the floor number, followed by a single letter indicating the wing (N, S, E, W), which is followed by a dash and the actual room number. The system adds more location detail through even-and-odd room numbers: even room numbers indicate they are located on the floor's inner navigational loop; odd numbers indicate positioning on the outer loop. 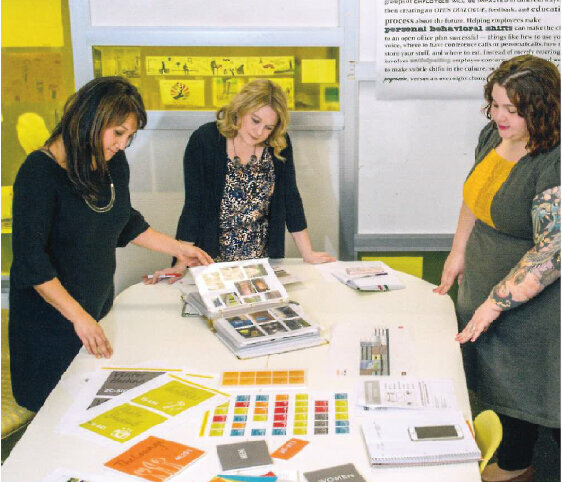 With their promising concept in hand, the AG wayfinding team realized artisan-level execution was key to success. Only through design sensitivity and precision manufacturing, would a system worthy of this space come to be. Further, in true AG style, they wanted to create a more caring place, so accessibility concerns came to the forefront. Their well-thought out numbering system would need to be translated to Braille on ADA compliant signage while ensuring all other accessibility requirements were met. Enter Takeform. Our experience with national brands, industry-leading ADA knowledge, and technical knowhow positioned us as an ideal partner. This project provided Takeform a welcome opportunity to collaborate with accomplished graphic design peers. Our design team worked closely with AG designers to translate their vision to a manufacturing-ready form. The nuances of the design were respected and preserved throughout the production process. In the spirit of creativity, the AG sign design includes a calligraphy-inspired font treatment for room names. 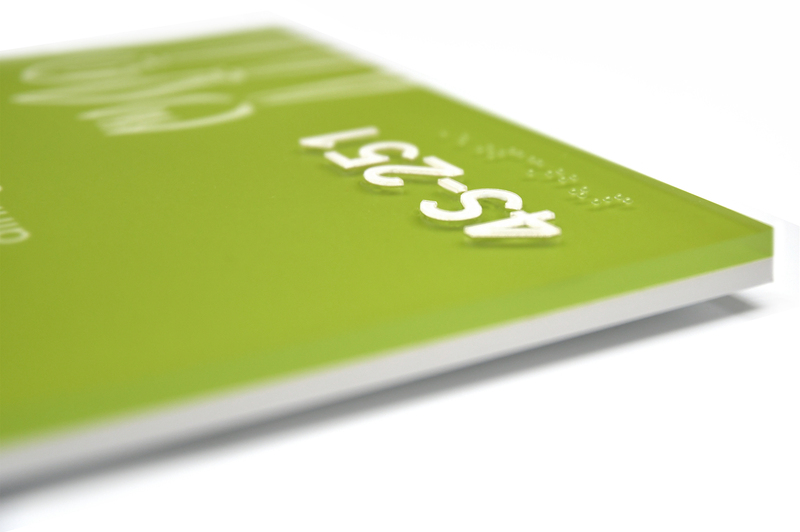 But, with accessibility in mind, Takeform's ADA team worked with AG to refine the design to ensure room numbering typography was applied to meet ADA compliance… including raised appliqué copy and Braille. Color zoning, based on the building's wing configuration, is the foundation of the wayfinding approach. 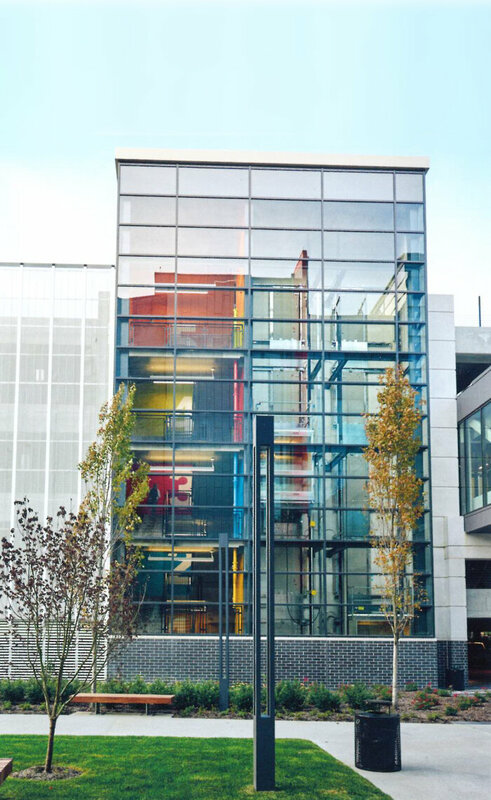 Each wing is assigned its own color: West: red, North: blue, East: orange, South: green, central areas on floors one and two: gray and the Tech West annex: yellow. 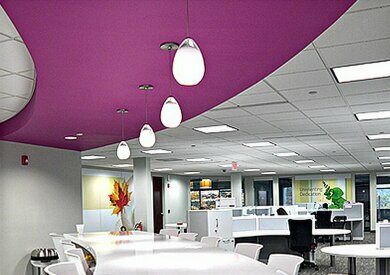 This wing-based color zoning system is applied uniformly across all floors. Red, blue, orange, green, gray and yellow. Sounds simple right? It could be, until you consider the seemingly infinite shades of each color and the expressive differences each variation represents. 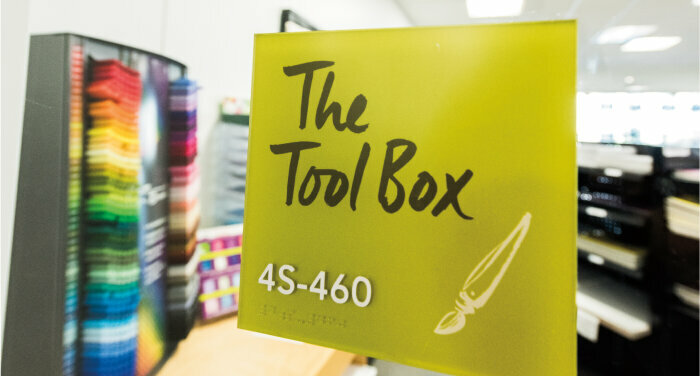 AG's finely tuned understanding of color and exacting standards engaged our design and production teams who were enthusiastically equal to the task. We produced a series of prototypes that explored how color specifications reproduced on the target substrate. 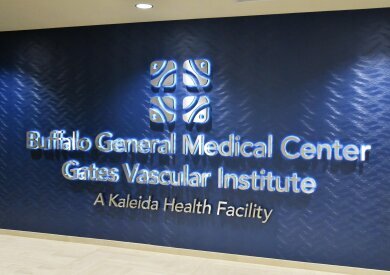 With AG's input on these samples, colors specs were refined to ensure standards were realized for every sign, in every zone. Wayfinding systems are ever changing. They must constantly adapt to organization growth and change. Maintaining standards and continuity throughout all this change can be easier said than done. To solve this problem, Takeform takes the responsibility for maintaining wayfinding systems. For instance, by documenting the testing process and final results, we ensure long-term repeatability and support for AG's sign system. 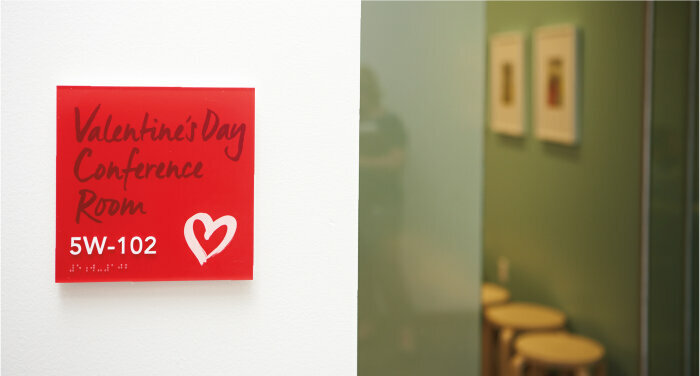 In 2016, six years after planning began, American Greetings Creative Studio World Headquarters celebrated its opening and the beginning of the company's next chapter. Part workplace, part main street town square, part gallery and part museum, inspiring creative interaction is a key goal for the new space. The project not only achieved this upon opening, it inspired meaningful collaboration throughout its development – and we're proud to have been part of the team.